India is a land of mixed cultures. 29 states have 29 different cultures. In such a multi-cultured country, it is needless to say that the attires and the dressing styles of each culture are different. However, the attire that brings the whole country into one section is a saree. A saree is a 6 yard long combination of comfort, elegance, class and sophistication. Every Indian woman looks her best when clad in the 6 yards of perfection. Just like the different cultures of each state, each state has its own regional tradition and its own style of saree. Given below is a list of the most traditional saree of each state. Another extremely popular and remarkable saree is the LuknaviChikkankariSaree, a traditional Lucknow masterpiece. These sarees have extremely intricate thread embroidery all over the body of the saree, giving it an aristocratic look. The sarees are available in many colours, usually pastel shades. Mugasarees from Assam are woven from silk which is only available in Assam. 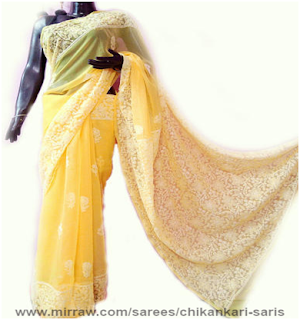 This type of saree is known for its inherent glimmer golden colour which does not require dying. The MekhlaChaadar is the most famous and traditional saree in Assam, which is a saree in two piece. The most popular traditional saree is this region is the Kanjeevaramsaree, which is highly popular all over India. Woven in Kanchipuram, Tamil Nadu, these sarees are known for their gold-dipped silver thread and the premium quality silk it’s woven from. The heavier the silk, the better is the quality of the saree. PochampallyIkkatsarees are also very popular in these areas. 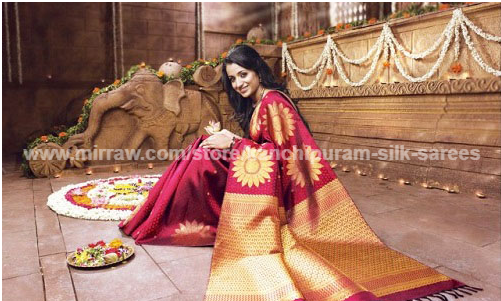 Mysore silk sarees are another traditional variant of south Indian silk sarees. 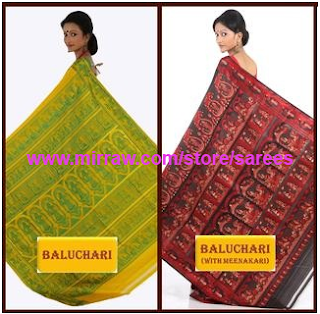 Pathanisarees from Aurangabad, Maharashtra are the most popular sarees from this region. They are woven in bold colours like magenta and peacock green. Various motifs are made all over the saree and are woven with pure silk and strings of pure gold. Bandhnisarees, more commonly known as ti-and-dye designs, are a popular master from Gujarat. In the tie-and-dye pattern, elaborate designs are made all over the sarees which are woven in premium quality silk. Patolasarees are also famous, known for their intricately woven patterns and the mandatory five-colour designs. If you are a saree lover, you must possess all or most of these traditional masterpieces as they are all a blend of pure elegance and beauty through their quality, designs and vibrancy of colours.